Xetex’s featured project for February was in Times Square, New York. 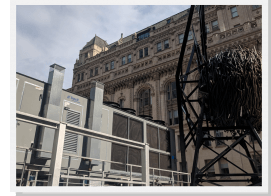 Xetex supplied four rooftop units that were able to meet the customer’s requirements of low sound, high efficiency units that fit the existing footprint and weight. The RTU’s ranged in size from 17,000 cfm (100 Ton) up to 36,000 cfm (200 Ton).